Systematic Withdrawal Plan can ensure fixed amount coming to the bank account, on a fixed date just like salary income. In the plethora of financial tools available in the market, there is an option that provides fixed income every month in the bank account. And, it is by following a simple approach of Systematic Withdrawal Plan (SWP). SWP can ensure fixed amount coming to the bank account, on a fixed date just like salary income. 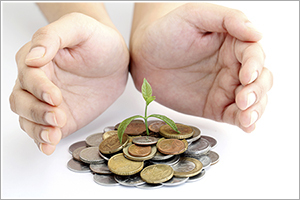 The investor just has to invest a lump sum amount initially in a particular scheme. One time SWP instructions is given to the mutual fund scheme. For example – With a lump sum investment of Rs 15 Lakh, an investor can instruct the mutual fund to transfer Rs 6,500 per month on the 5th day of the month to his bank account till December 2020. This was just an example of how to set up an SWP. SWP being in an open-ended scheme of the Mutual Funds, even remaining amount can be withdrawn anytime by the investor by submitting a simple “redemption instruction”. Also, SWP instruction given once can be stopped / changed anytime. If you feel now expenses have increased, you may do additional investment in the same scheme and increase the SWP amount. So, there is the complete flexibility of managing this strategy. Another advantage of the SWP is tax efficient returns. Let’s assume Mr. A invests Rs 15,00,000 in a Monthly Income Plan (MIP) of the Mutual Funds with SWP and Mr. B invests the same amount in a bond/deposit scheme with 8% interest. Only for calculation purpose, we assume that SWP amount is kept at Rs 10,000 per month or Rs 1,20,000 per year or 8% of the investment amount. Also, let’s assume a return 8% in MIP for calculation purpose. Both Mr. A and Mr. B are in 30% tax slab and continue to get SWP and interest income for 10 years respectively. In the above example, Mr. A would have paid Rs 37,537/- as capital gains tax, while Mr. B would be liable to pay Rs 3,60,000 as a tax on interest income. Over a 10 years period, they would have got Rs 12,00,000 as SWP amount or interest income respectively. If funds are not withdrawn even after 10 years, Mr. A would have paid only 3.12% tax while Mr. B would have paid 30% tax on Rs 12,00,000. (Assuming inflation rate of 6% per annum). These calculations are without taking any surcharge or Income tax exemptions into account and assuming that funds are not taken out even after 10 years. SWP strategy is available in most of the Mutual Fund scheme categories, still, it is recommended that investors choose as per their risk appetite. The above example is relatively true for debt-oriented funds including MIPs. While, equity-oriented funds provide further tax benefits, but they bring in high fluctuations in the market value of the investments. This strategy is also very good for people who are retiring and may not get any regular salary income from coming months. Their retirement corpus can be used to create this regular stream of monthly inflow, similar to salary even after retirement. Some of the investors can also use it for providing monthly fees and pocket money to their kids who are studying in boarding schools.